When a pastor compares himself to another pastor, it usually leads to discontentment. When a pastor has unrealistic expectations about his future, it may lead to extreme disappointment. Finding your future as a pastor can be difficult. When you talk about it with others, it can place you in a vulnerable place. This is one reason we are reluctant to talk about the future, but it can also be because we fear others will misunderstand us. 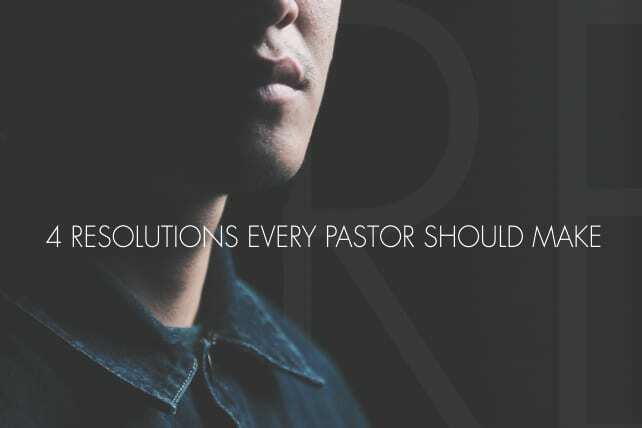 Sooner or later, a pastor has to come to these four resolutions in order to find his way to the future. Resolution #1: God will take care of your future. We need to do all we can to be available to God and always do what is necessary to improve ourselves. But above all, through it all and after it all, we have to know God will take care of our future. He has the power to put us down and He has the power to lift us up. He has the power to place us where He desires us to serve. The bottom line, pastor, is this: God will take care of your future. Resolution #2: Be aware of who you really are. A lack of self-awareness will lead you to major problems. Many pastors do not have an accurate picture of who they really are as a person and a leader. Be aware of your strengths. What are they? Not simply how you see them, but the way others see them. Be aware of your weaknesses, not only from your own perspective, but also from the way others see you. A geographical change that a job or calling may bring does not change what your strengths and weaknesses may be in your life and leadership. Resolution #3: Know your God-given gifts. God has given you gifts to use and develop to help you build up the body of Christ. These God-given gifts do not need to be ignored, but embraced fully. However, just because we love God and want to serve Him passionately does not mean we are gifted to do everything. What are your spiritual gifts? Are you developing these gifts? Are you using these gifts to build up the body of Christ? Your future is about how you can best be used by God with the gifts you have in order to make the greatest impact for the Lord. Resolution #4: Go where God can use you in the greatest way. Wherever you are and wherever you may go, make sure you find the place in your future where God can use you in the greatest way. Is He doing it where you are? Can He do it where you are? In order to be used of God in the greatest manner, you must embrace each of these questions. Here is what I know: If God is not using you in the highest manner where you are, He may not entrust you with another place of ministry. This is why we must learn to be comfortable in our own skin. We must also realize that God may not raise us to do anything different or give us an opportunity for ministry in the way we desire. Pastor, I know God wants to use you. Pursue Him personally. Place your “yes” on the table to God. Leave to do whatever He may call you to do. Stay if His will is for you to minister where you are long-term. Pastor, leave it all in the hands of God. He has you covered.